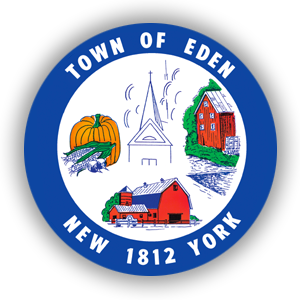 The Town of Eden’s Building Department and Code Enforcement Officer hours have now changed back to the original hours. The department is open Monday, Tuesday, Thursday and Friday from 9am to 3pm. We have now re-opened on Wednesdays from 1pm-7pm. We would ask that you call ahead if you are planning on meeting at the office during those times for availability. A building permit gives you legal permission to start construction of a building project in accordance with approved drawings and specifications. Obtaining a building permits will ensure your construction project is built right, will be safe and will last. Safe construction practices help protect you, your family, your friends and your investment. Contact the Town of Eden Building & Code Officer before you begin your project so that you can understand what is needed, time frames, and what is involved for your particular project. The building department is available to assist you with your questions and help your project to run smoothly & safely for everyone concerns. What are the benefits of having a building permit? Increased Value — Your home or business is an investment. If your construction project does not comply with the codes adopted by your community, the value of your investment could be reduced. Property insurers may not cover work done without permits and inspections. If you decide to sell a home or building that has had modifications without a permit, you may be required to tear down the addition, leave it unoccupied or do costly repairs. Protects — A property owner who can show that code requirements were strictly and consistently met, as demonstrated by a code official’s carefully maintained records, has a strong ally if something happens to trigger a potentially destructive lawsuit. Ensures Safety — Your permit also allows the code official to protect the public by reducing the potential hazards of unsafe construction and ensuring public health, safety and welfare. By following code guidelines, your completed project will meet minimum standards of safety and will be less likely to cause injury to you, your family, your friends or future owners. Submit Application At this stage you will document the “Who, What, When, Where and How” of the job, along with any sketches or plans of the proposed work. In a brief amount of time, the code official will review your plans and determine if your project is in compliance with local requirements. If your plans meet these requirements, a permit is issued. If not, the code official may suggest solutions to help correct the problem. Receive Permit Now that you have been approved for a permit, you have legal permission to start construction. A fee, based on the size of the job, is collected to cover the cost of the application, the review and the inspection process. An experienced code official is available to you should you have any questions concerning your project. You should consider your code official as an ally who will help you make your project a success. Job-site Visits On-site inspections will be required to make certain the work conforms to the permit, local codes and plans. Again, you will have access to the expertise of the code official to help you with questions or concerns regarding the project and to ward off potentially costly mistakes. The code official will let you know approximately how many inspections may be needed for your project. Usually, a one- or two-day notice is needed when requesting visits. Receive Final Approval The code official will provide documentation when construction is complete and code compliance is determined. You will then have the personal satisfaction of a job done right. Enjoy your new surroundings with the peace of mind and the knowledge that they meet the safety standards in your community.